After a hard fought victory last night, the Blue Jays were looking to extend the win streak to three games. The Blue Jays had a very successful opening month, finishing 16-12. Will May be just as successful? Here is today's game recap. Roberto Osuna pitched an easy 1-2-3 inning for his 8th save. Kendrys Morales made manager John Gibbons look like a genius tonight. Morales was inserted into the lineup with 40 minutes until opening pitch. Steve Pearce was initially penciled in at DH. 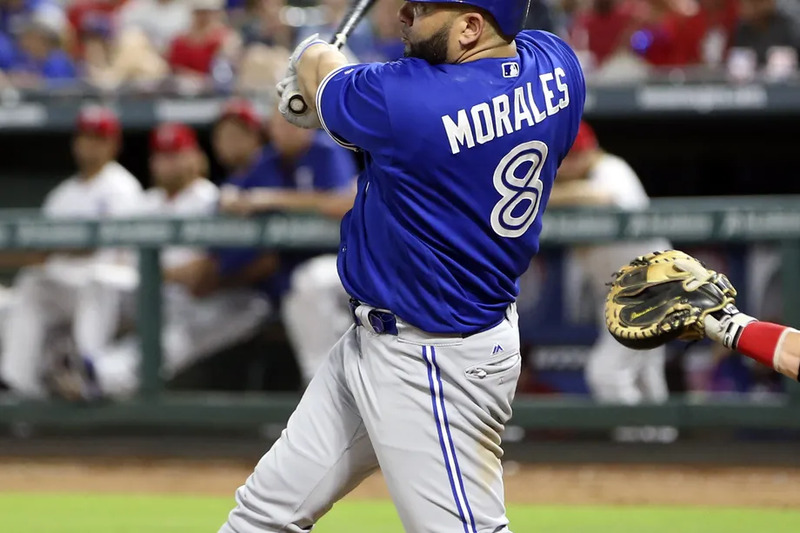 Gibby must have sensed that Morales was going to have a big night because Morales was a perfect 3-3 at the plate, including home runs in consecutive innings. He even stole a base without a throw in the 9th inning. Twins catcher Mitch Garver had a nightmare inning behind the plate that effectively cost the Twins the game. First, he allowed Pillar to steal 3rd base and Kendrys Morales, one of the slowest runners on the team, to steal second base (both uncontested). Then he allowed 2 wild pitches to allow 2 Blue Jays base runners to score. Overall, the Twins defense was suspect throughout the game. Infielders were double-clutching ground balls allowing base runners to reach. On the Blue Jays third run of the tenth inning, Twins 3rd baseman Eduardo Escobar booted a ball hit to him that should have resulted in at least one out, instead everyone was safe and another run scored. Marco Estrada had a difficult start to say the least. He threw 30 pitches in the first inning. He also had a lot of deep counts, which drove his pitch count up. Gibbons probably shouldn't have sent him out to start the 6th inning as he was over 90 pitches at that point and clearly tiring. Estrada did sit down 9 Twins in a row at one point.